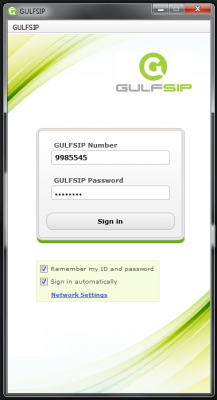 Sign in with your GULFSIP number and password. You are now signed in and ready to use your GULFSIP number to make Free & International calls . 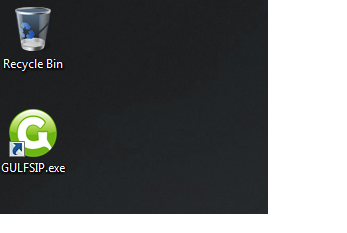 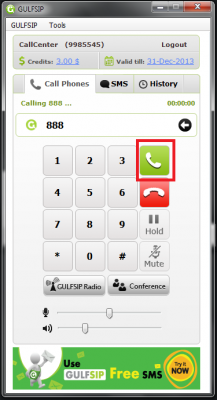 Write the GULFSIP number you wish to call, then Click on the “dial” button. 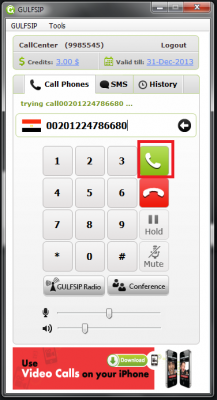 Just dial the Country code followed by the mobile number or land line number and the call will be calculated according to our rates , and then click on “Call” button.